ElectroMech offers standardized ABUS Wire Rope Hoists. With reputation for quality, reliability and affordability, ABUS Electric Wire Rope Hoists feature several advanced engineering concepts with special emphasis on safety and versatility. 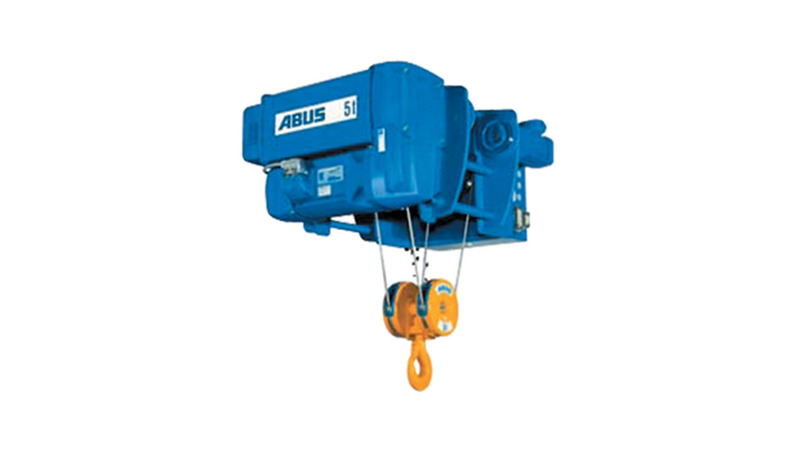 ABUS Wire Rope Hoists are compact with low headroom dimensions and incorporate latest technical innovations. These hoists are produced using the most advanced technology available and continue to witness reliability, safety and durability year-after-year, from motor to rope, gearbox, brake and electronic systems. These units cover an extremely wide SWL range from 1MT to 100MT in both monorail and double girder configuration.